Re-enactment, which is staged as a recreational activity by enthusiasts, is a re-creation of the past from any date prior to today. There are an increasing number of people who offer a very wide range of historical entertainments including battles, military displays, everyday life, and living history encampments. Re-creation of towns and villages in permanent locations throughout the USA is a testimony to the interest of people in the multi-dimensional past of America. 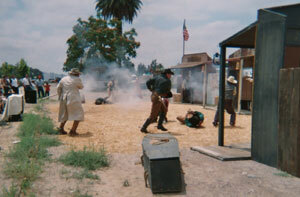 Over 200,000 people in the United States are involved in some form of re-enactments. They can vary from re-creation of the past by a single person to large historical spectaculars staged by organizers to entertain as well as educate. Re-enactors come in all shapes and sizes, from every background, and increasingly, from all over the world. Who they are and how old they are is irrelevant. It does not matter if a re-enactor is a doctor or a maintenance worker, an office or manual worker. The only thing that really counts is enthusiasm for the subject and time period. Although the majority of re-enactors are male, families often take part. Women are sometimes permitted to participate as men would have done during the period of time being re-enacted. There is a great deal of positive escapism involved, with re-enactors sometimes portraying people of entirely different nationalities than their own and as far back in history as they choose. 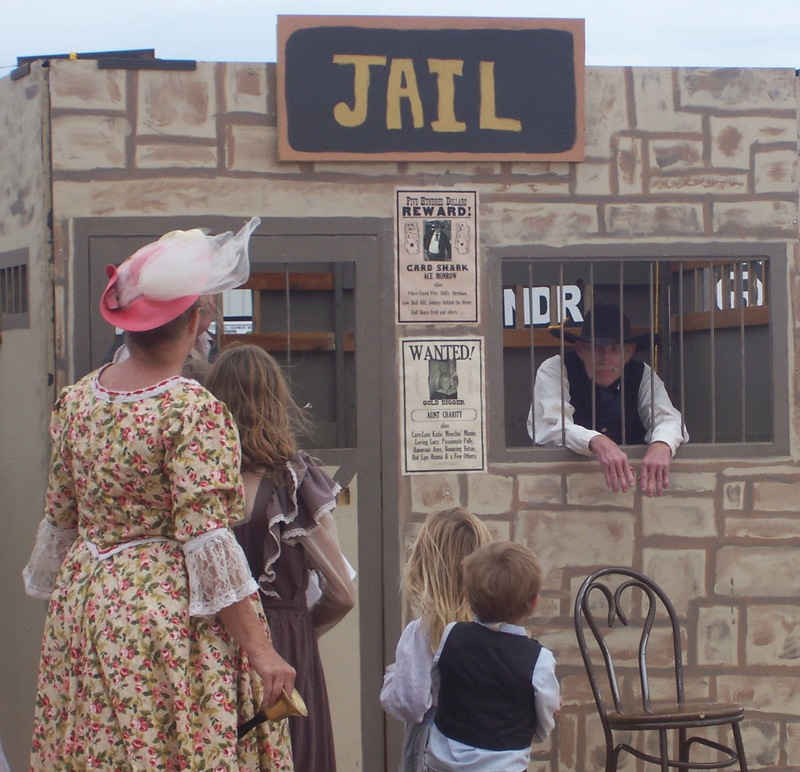 Western re-enactment and living history offer participants a unique chance to enjoy re-creating old west history within a social scene. For people who watch these enactments, they are a fascinating window on the shaping of the American. Of course, no one can expect these re-enactments to be entirely accurate, for certain things like disease, filth, squalor, battlefield wounds and general gore are far too shocking to experience as live entertainment. 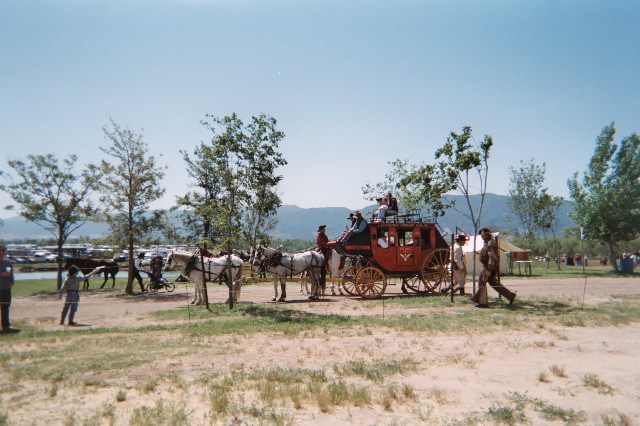 And although some people can say that for this reason re-enactments can’t be truly accurate and taken too seriously, they still offer many people their best opportunity to see, smell, touch, feel and generally experience the essence of the old west era. Hollywood films can recreate the past on an epic scale, but for a real and usually much more interactive format, live re-enactment is hard to beat. 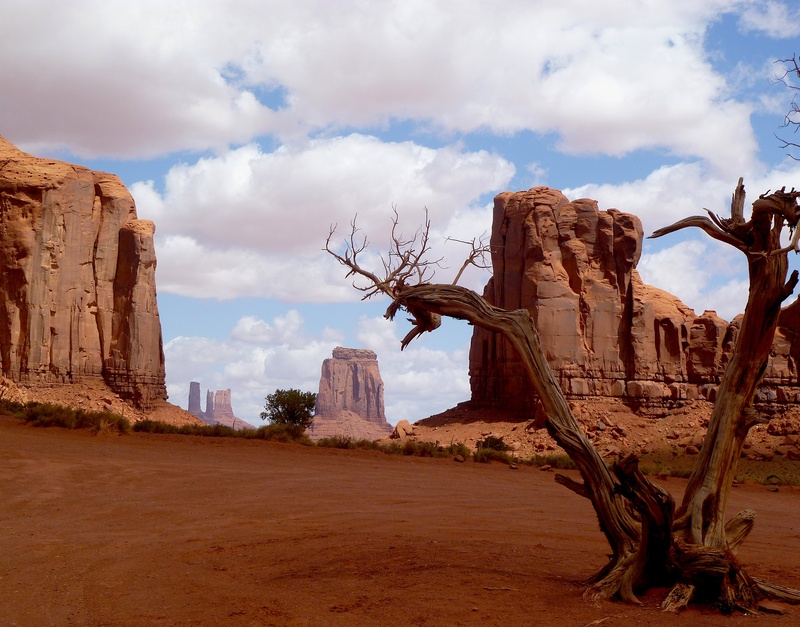 Hollywood favorites such as Hopalong Cassidy, the Lone Ranger, Gene Autry and Roy Rogers form an indelible image of certain kinds of expected behavior and old west code which are still often see in re-enactment scenarios. 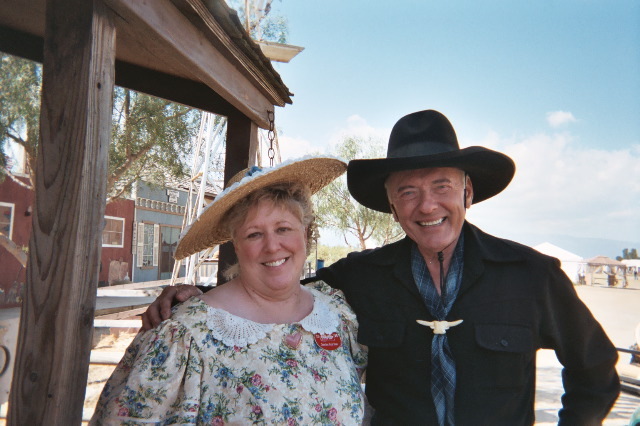 Although the popularity of Hollywood Westerns has waned from the 1950s, increasingly top re-enactors are also being recognized and used by TV and film companies in the western films that are made. From the epic American Civil War film Gods and Generals to comparatively simple western documentaries, it almost seems inevitable to feature re-enactments by skilled groups and individuals from the re-enactment world. The catalyst for the creation of modern-day re-enactment was the centennial commemorations of the American Civil War in the 1960s. By 1998, as many as 25,000 re-enactors took part in a huge recreation of the 1863 Battle of Gettysburg. This was probably the largest re-enactment in history. The American Revolutionary War, French and Indian Wars and other eras of United States history are also very popular, although events are relatively small compared to Civil War standards. 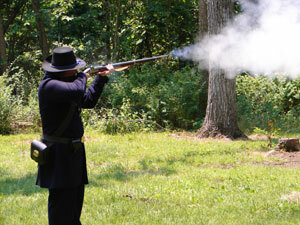 The authenticity for re-enactment costumes, weaponry and drill was at first not accurate and often downright dangerous. These early re-enactments of famous battles caught the nation’s imagination and started a trend toward historical accuracy. The American Civil War was the initial catalyst for the formation of old west as we often think of it, and as popularized by Hollywood. It generally dates from 1860 to 1910. Old west re-enactment in the USA continued to develop on an epic scale and is one of the fastest growing forms of re-enactment. 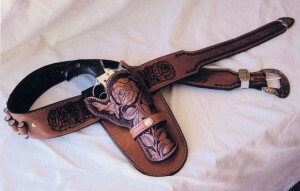 Groups with affiliations to SASS (Single Action Shooting Society) and the NRA (National Rifle Association) are formed with the goal of entertainment and teaching about old west history and values. 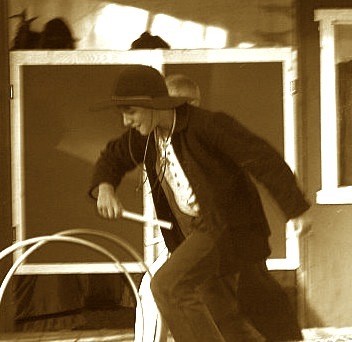 Associations such as the RGA (Re-enactors Guild of America) have develop direction, guidelines and rules for judging skits and productions put on by re-enactment groups. Judging on historical accuracy, clothing, performance, and showmanship improve the re-enactors ability to please the public with greater historical precision.